Start watching instantly with these videos available as digital downloads or streaming. They work great on any device. 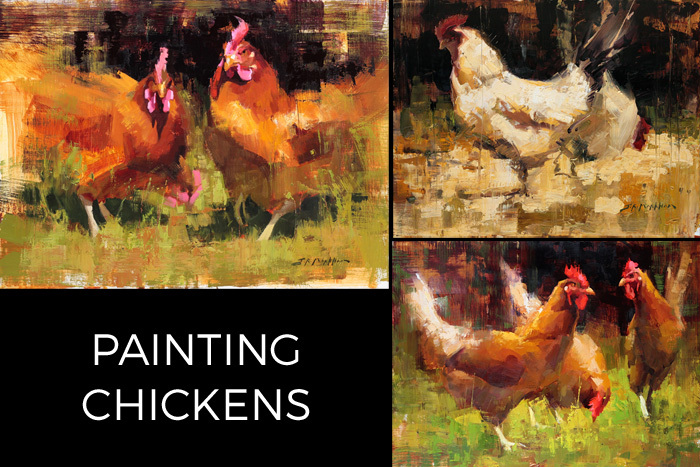 In this 1.5 hour video Jerry creates the oil painting ‘Pecking Order’ sharing his process of painting chickens featuring his own hens. Full painting process from beginning to end. See painting and palette throughout video. Layering paint using brushes and palette knife. Discussing composition, values, edges, color. Overview of materials Jerry uses. 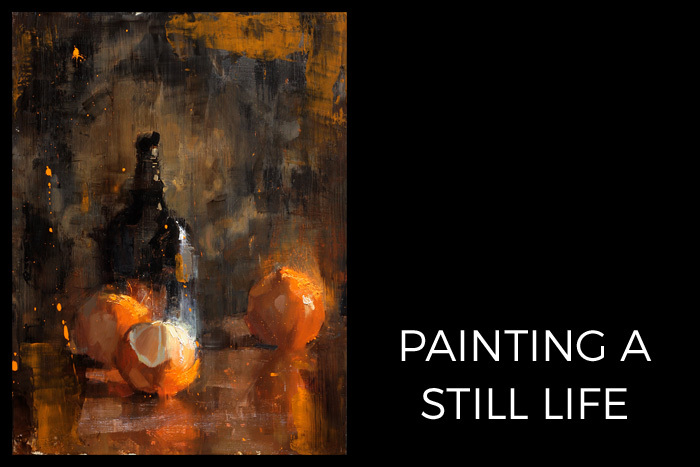 In this 30 minute video Jerry creates the studio oil painting ‘Orange Arrangement’ in his contemporary impressionistic style. See painting and still life setup throughout video. Discussion about lighting still lives. Tackling reflections & patterned backgrounds. Dealing with composition, values, edges, color. A condensed look at select paintings from beginning to end. More will be added in future so feel free to sign up for the newsletter or follow on YouTube to receive new ones as they are released. Painting recently sold at Gallery Odin. Posted February 2017. Red and White Arrangement – SOLD at Astoria Fine Art.